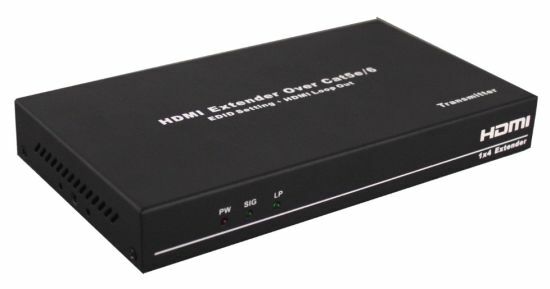 HDMI Extender, HDMI Extender 50m, 1X4 HDMI Extender manufacturer / supplier in China, offering 1X4 1 in 4 out HDMI Extender 50m Over Single Cat5e UTP (EDID, HDMI Loop out), Bluetooth 5.0 Wireless Earbuds with Auto-Charging Box, Mini VGA to HDMI Upscaler 1080P and so on. 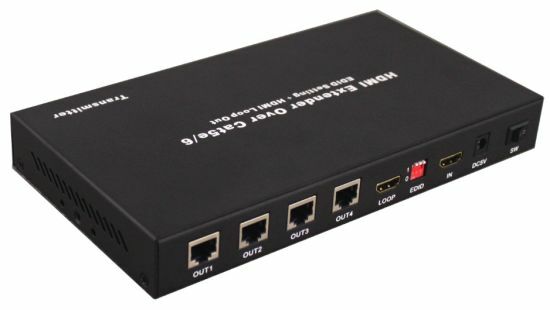 Using Extender Splitter and RX pairing, you can achieve the transmission of HDMI signals to 50 meters, through the CAT6 Cable. The machine should be placed at the spot far from the Damp, High-Temperature, Dusty, Erosive, and oxidative environment. All parts will be free from the strong shake, hit, fall. Touching the power adaptor with the wet hands is prohibited. Pls hold the power adaptor head and do not pull the power cord when cut off from the socket. Pls turn the power off when the machine is not used for long time. Pls do not open the cover and do not touch the inside parts. 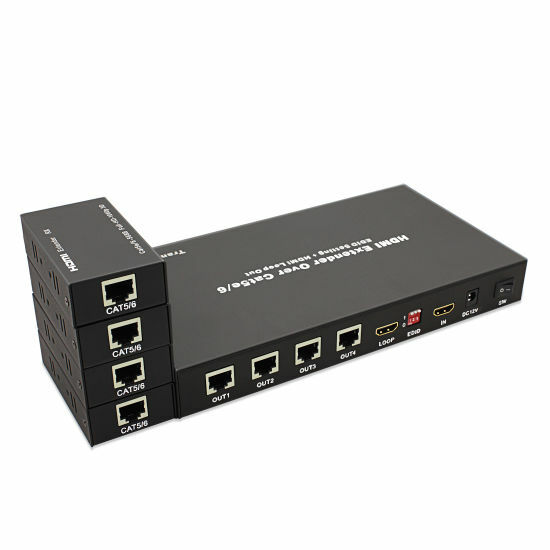 Pls use the original factory power adaptor. 1 Non-Power-Connected 1,Check if the power adaptor head is truly and correctly inserted the power socket. 2,Check the power switch if it is in on status. 2 No Picture 1,Pls to make sure that the TV is on and has been connected with the machine. 2,To check if the signal source is on and well connected. 3,Check the system connection quality. 4,Check if the line is all good quality. 3 Obscure Picture 1,To try again to connect the cable to be free from the unsuccessful connection.